Below is a list of people (mostly unarmed people of color) killed by cops in 2014. Some cases are more clear-cut than others, but all of them raise questions about the use of force — like shooting to kill — in policing. 2. 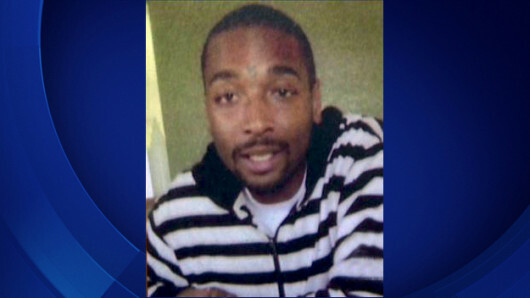 Ezell Ford; Los Angeles, CA: In what was described as “an execution” by family members, Ford was unarmed when LAPD shot him last August. Officers stopped him on the street, in response to a possible officer-involved shooting. One witness contends that officers beat the 25-year-old disabled man while saying “shoot him.” Others maintain that Ford was laying on the ground when he was shot. 3. 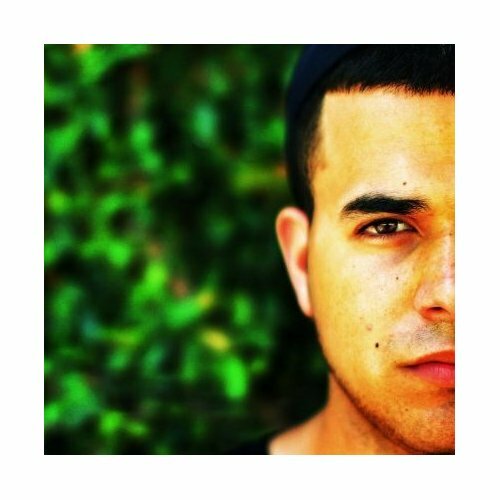 Omar Abrego; Los Angeles, CA: Abrego died a mere four blocks from where Ezell Ford was shot. 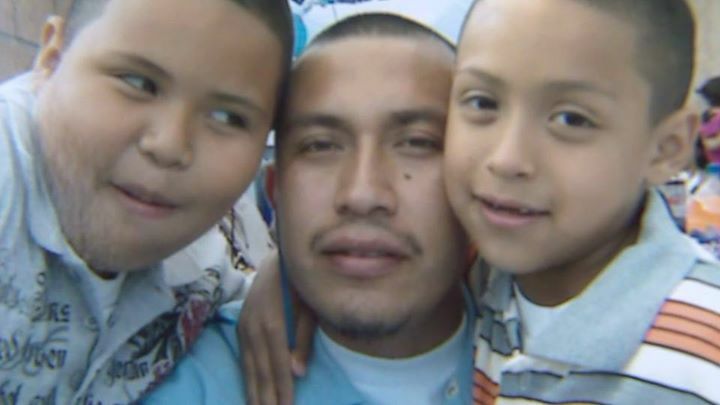 A father of three, Abrego was beaten to death by LAPD after a car chase last August. Witnesses allege that officers punched Abrego in the face continuously, and also hit him with a baton. 4. 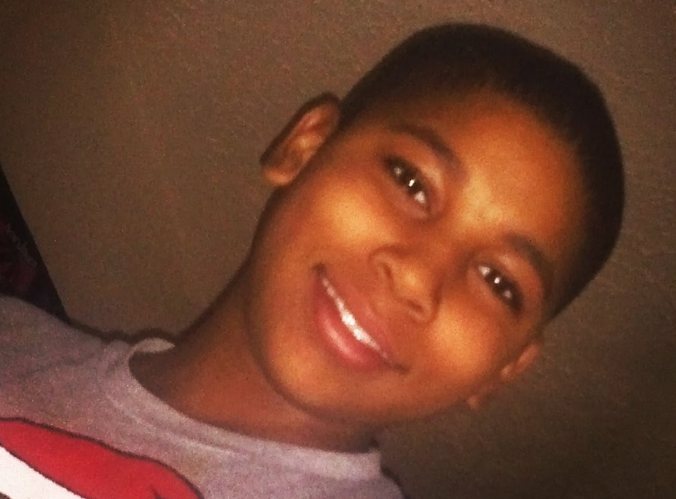 Tamir E. Rice; Cleveland, OH: Police responded to a 911 call about a boy with a gun in the park. Within seconds of arriving at the park, police opened fire, killing the 12-year-old who had been holding a toy gun. Officers on the scene refused to administer first aid for four minutes, and left him laying on the ground. They allegedly handcuffed his 14-year-old sister. 5. 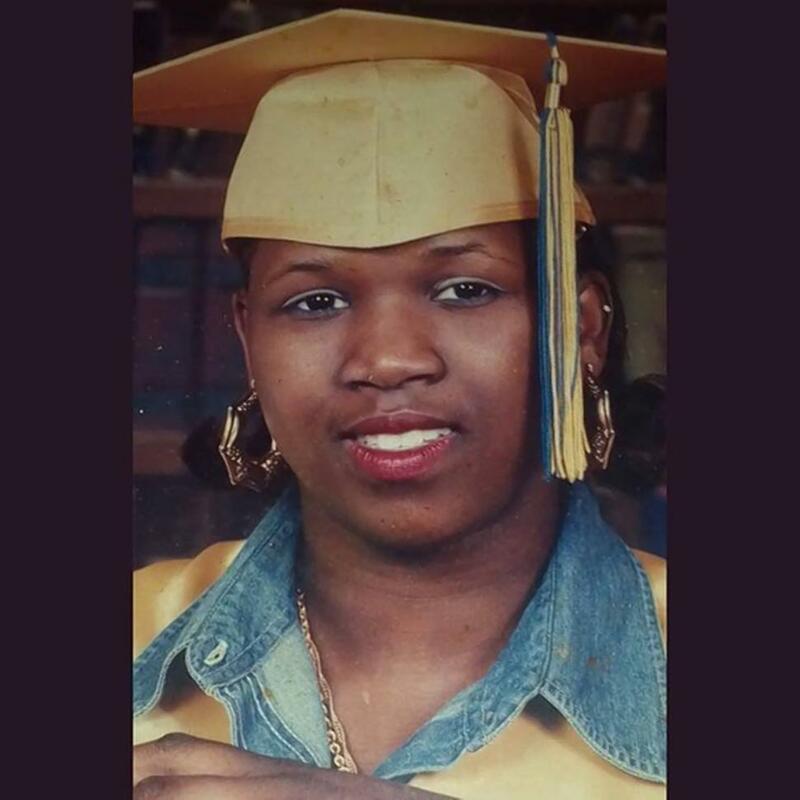 Tanisha Anderson; Cleveland, OH: Anderson, a schizophrenic and bipolar women, died after police allegedlyslammed her onto the pavement outside her family’s home. Officers had approached Anderson after a caller reported her for “disturbing the peace.” Police claim that they planned to take her to the hospital for a psychiatric evaluation, and that she went limp in an officer’s arms. But Anderson’s brother and daughter deny the cops’ story and contend that the 37-year-old was slammed to the ground. 6. 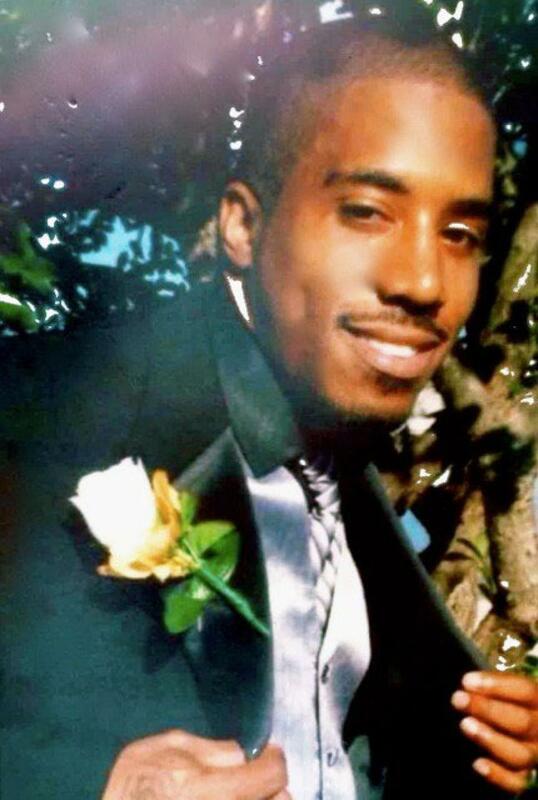 Rumain Brisbon; Phoenix, AZ: Brisbon was killed earlier this month, after an officer mistook a pill bottle for a gun. The officer approached Brisbon’s car after someone reported a drug deal happening near the vehicle. When asked to raise his hands, Brisbon put them in his pockets. A quick chase on foot ensued after the officer pulled out a weapon. There was a brief scuffle when the cop caught up to Brisbon, during which the latter reached into his pocket. The officer shot him, and explained later that he thought he felt a gun in the pocket. The perceived gun was actually a pill bottle. 7. John Crawford III; Beavercreek, OH: Crawford was shot by police officers in a Walmart, who were responding to a 911 call about an armed man. The caller, who originally stated that Crawford was pointing the gun at people, changed his statement later on. In a video released after the incident, Crawford was walking down a store aisle while holding a BB gun that he was buying for his children, and then swung it over his shoulder. All the while, he was talking on a phone and looking at the shelves. Officers descended upon him and fired two shots. 8. Keith Vidal; Southport, NC: Police responded to a 911 call for assistance from the parents of Vidal, a schizophrenic 18-year-old, who was in the middle of an episode. Although Vidal picked up a screwdriver, two officers were able to calm him down. But the situation turned deadly when a third cop tased the teenager shortly thereafter. That officer allegedly said “we don’t have time for this” before shooting and killing Vidal on the spot. 9. 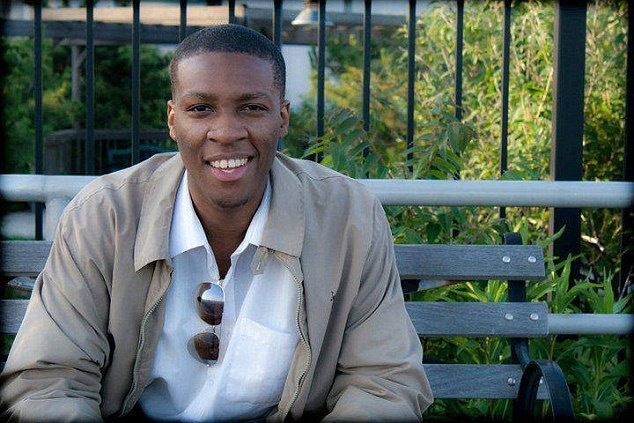 Kajieme Powell; St. Louis, MO: Just days later and a few miles away from where Mike Brown was shot, officersgunned down Kajieme Powell, who had stolen energy drinks and pastries from a convenience store. Officers said they shot Powell after he approached them wielding a knife with an “overhand grip,” and that he was within three or four feet of them. But video from a cell phone showed the 25-year-old standing farther away and with his hands by his sides. 11. 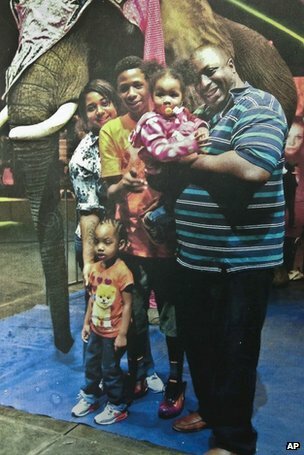 Eric Garner; Staten Island, NY: NYPD officers stopped Garner and accused him of selling un-taxed cigarettes on the sidewalk.. The encounter turned deadly when Officer Daniel Pantaleo put Garner, an asthmatic, in an illegal chokehold. Garner repeatedly said ‘I can’t breathe’ eleven times before dying on the scene. The entire incident was caught on camera, but a grand jury decision refused to indict the officer. 12. 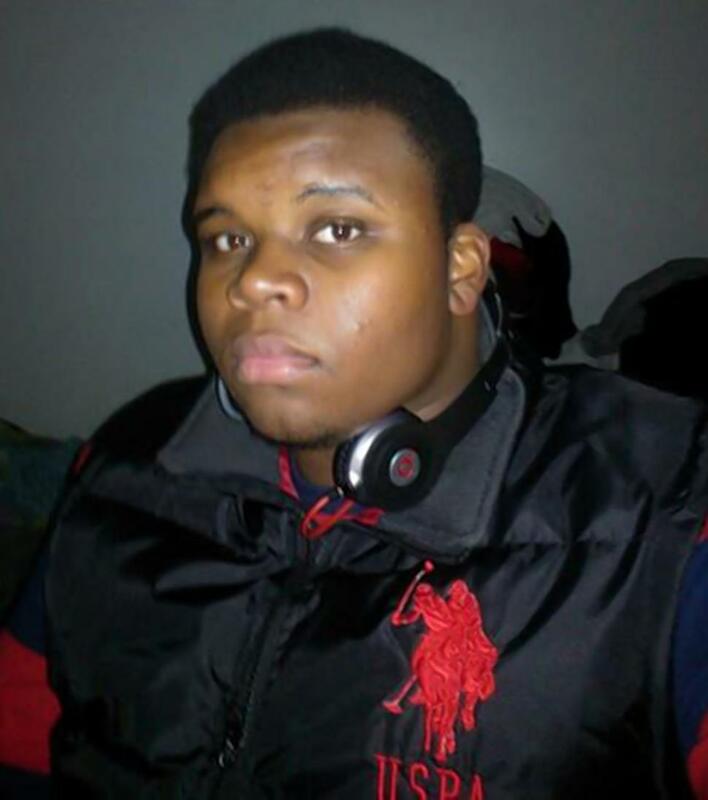 Mike Brown; Ferguson, MO: Brown was shot by Officer Darren Wilson, after the police stopped him and friend Dorian Johnson, who were walking in the street. After he stopped them, Wilson realized that Brown matched the description of a suspected thief who the officer was trying to find. Wilson claimed there was a physical altercation, and that Brown tried to grab his gun and charged at him. Witnesses say Brown was running away with his hands up when the officer shot him. Police kept the body in the street for 4.5 hours. A grand jury chose not to indict Wilson. 14. Jack Jacquez; Rocky Ford, CO: When Jacquez returned home after babysitting with a friend, officers showed up unexpectedly and burst into the home. According to his sister in law, Jacquez was standing next to his mom with his back to the cops, when Officer James Ashby shot him two times. His fiance was woken up by gun shots. Details haven’t emerged about why officers were at the house. 15. Jason Harrison; Dallas, TX: When Harrison’s mother dialed 911, she was seeking help for her son who had bipolar disorder and schizophrenia. But the officers who responded to the call shot and killed Harrison on the front porch of his mother’s home, when he didn’t obey orders to put a screwdriver down. Police claimed Harrison was acting aggressively, but the victim’s family filed a lawsuit stating that excessive force was used. Harrison’s father also alleges that cops were previously called to subdue the victim. Video of the shooting, recorded by a body cam, has not been released to the public. 16. Yvette Smith; Bastrop County, TX: Police were called to a house where a disturbance call was placed, although a dispatcher misinformed them that the disturbance was about a gun. Officers allege that people inside the house ignored demands to step out of the home. The Sheriff’s Department originally said that Smith eventually opened the door with a gun in her hand and refused to listen to orders, which is when Deputy Daniel Willis shot her in her abdomen and hip. But the department backtracked on the gun claim hours later. Witnesses say the disturbance call was about money and not a gun, and that Smith was compliant. The 47-year-old woman died at the hospital, and Willis was indicted for murder. 17. Louis Rodriguez; Oklahoma City, OK: Police were called about a domestic dispute between a mother and daughter, but wound up killing the father outside of a movie theater. Rodriguez was trying to calm his wife down when he was approached by police and security guards from the theater. Officers began to beat him when, in an attempt to stop his wife from driving away, Rodriguez bypassed the officers. 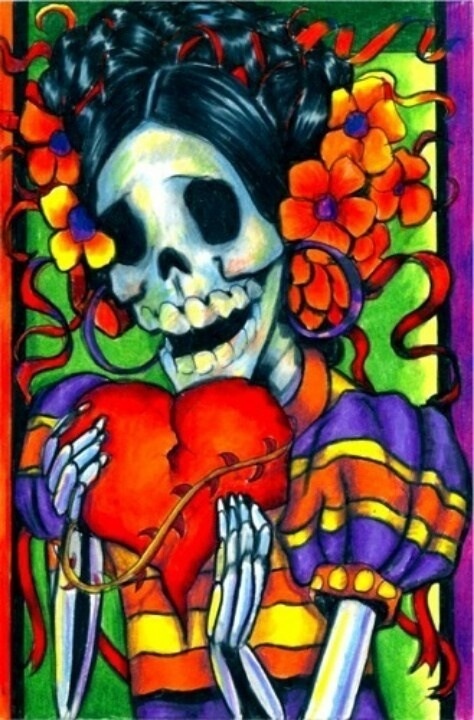 Although an autopsy conducted by the Oklahoma State Medical Examiner’s Office concluded that the victim died from “cardiac arrhythymia due to physical constraint,” a private autopsy concluded that he died of asphyxia as a result of a maneuver that restricted his breathing. The daughter, Lunahi Rodriguez, recorded the incident. 18. 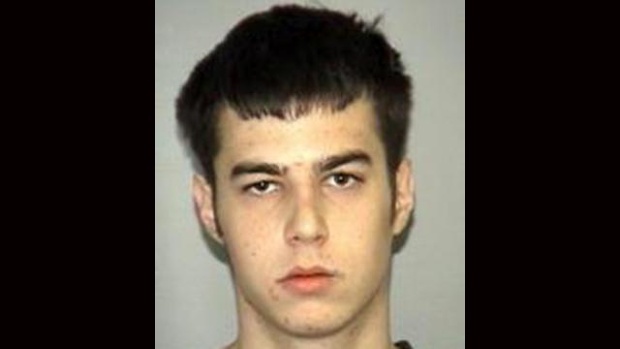 Matthew Pollow; Palm Beach, FL: Police were called to investigate an “armed disturbance,” when they approached Matthew Pollow standing next to a car. Pollow complied when he was ordered to remove everything from his pockets. Then Deputy Evan Rosenthal drew his weapon, alleging that the victim looked “very disturbed.” Pollow, who had a history of mental illness, grabbed a screwdriver and charged at the officer. Rosenthal shot Pollow, who died at the scene. 19. Dontre D. Hamilton; Milwaukee, WI: Hamilton, a 31-year-old schizophrenic man, was sleeping in a park when Officer Christopher Manney approached him for a standard welfare check. After assessing that Hamilton was mentally ill, Manney approached him from the back and started to pat him down. The two exchanged punches before, Manney eventually used his baton to hit the victim in the neck. Manney then shot Hamilton 14 times. Chief Edward Flynn of Milwaukee said that Manney disregarded police policy after correctly determining that Hamilton was mentally unstable. “You don’t go hands-on and start frisking somebody only because they appear to be mentally ill,” said Flynn. 20. David Latham; Northfolk, VA: According to Latham’s family, his mother and sister called 911 when he threatened his brother with a knife. 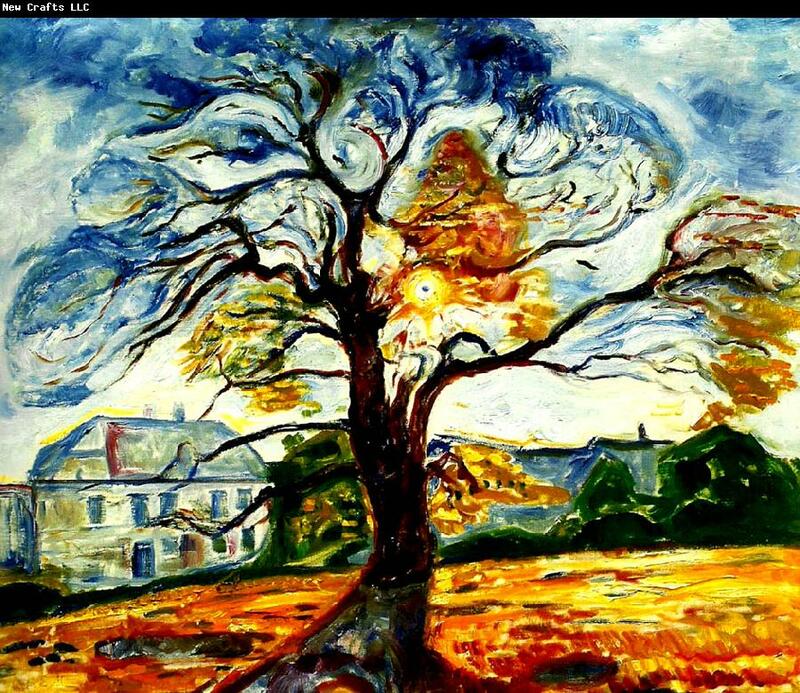 Latham had stopped taking his medication for schizophrenia, which explained his behavior. When he didn’t immediately put down his knife, an officer shot Latham, who was standing in a doorway, nine times. 21. 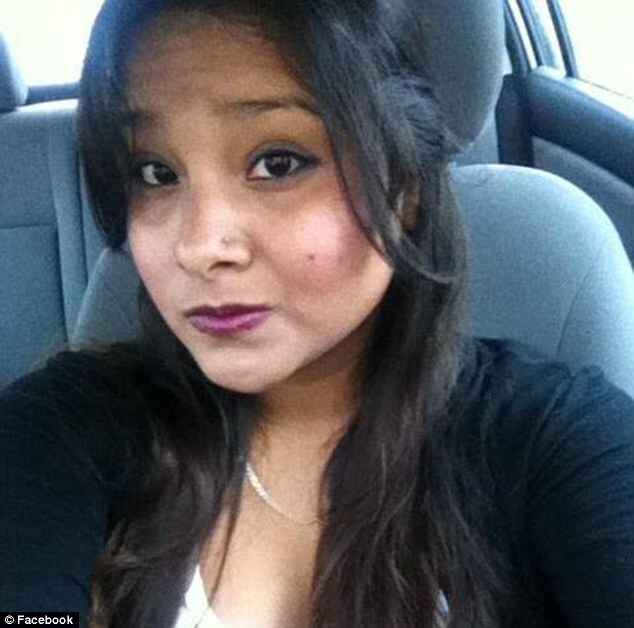 Maria Godinez; Orlando, FL: Officer Eduardo Sanguino accidentally shot and killed Godinez, a 22-year-old college student. The officer was shooting at Kody Roach, who was a caller reported for waiving a gun outside of a bar. Police attempted to tase Roach, but that didn’t work. And when Roach turned around, Sanguino shot his firearm nine times. Godinez was inside when she was hit by a stray bullet. 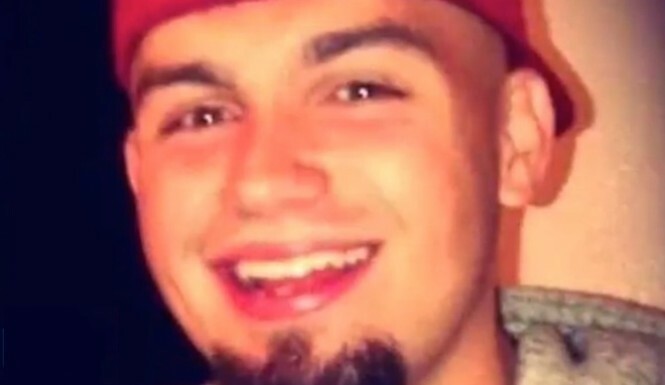 Dillon, 20, was shot to death by a police officer responding to a 911 call reporting “gangbangers” flashing a gun. Taylor and his two relatives, also in their twenties, were on their way to a 7-Eleven when confronted by Officer Bron Cruz. Cruz pointed a gun at Taylor and yelled, “Get your hands up now.” Taylor, who was walking away from Cruz, turned around and replied, “Nah, fool.” Within seconds, Taylor removed his hands from his waistband while lifting his shirt. Cruz shot him twice in the chest and abdomen. He died at the scene. No weapon was found on him or his companions. 23. Dante Parker, San Bernadino, CA. 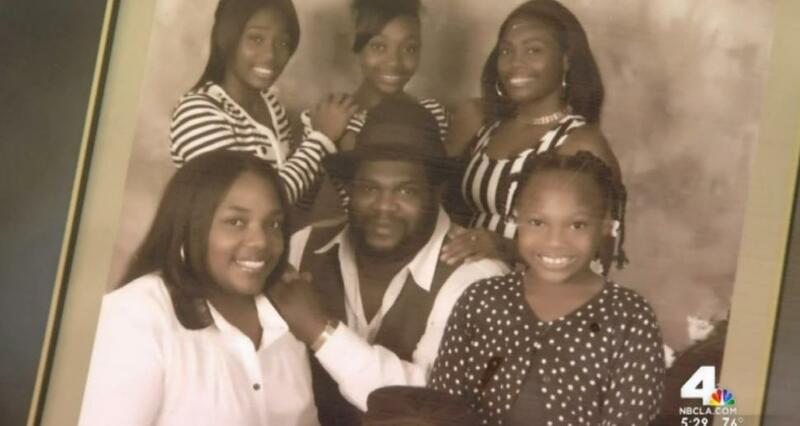 : Dante, a father of five, died in police custody after being repeatedly stunned by a Taser gun. The 36-year-old pressman was riding his bicycle when confronted by police. Dante was not armed. Officers believed Parker was under the influence of an unknown substance. During a struggle, Parker was stunned multiple times with a Taser gun, handcuffed and put in a patrol unit. Deputies transported him to a hospital after he began sweating and breathing heavily. He died at the hospital, two days before his 37th birthday. Here are another 78 victims killed by police in 2014. This is not the end of the story. The police don’t keep track. But here are names and stories. Bakersfield, CA: Dozer was allegedly acting erratically at a gas station when he walked towards an officer. Finding him to appear “aggressive,” the officer shot and killed him. Baytown, TX: A woman called 911 to report that Gregoire had kicked in her back door, which may have been his own residence, and attacked her with a pole. He reportedly left and returned again. 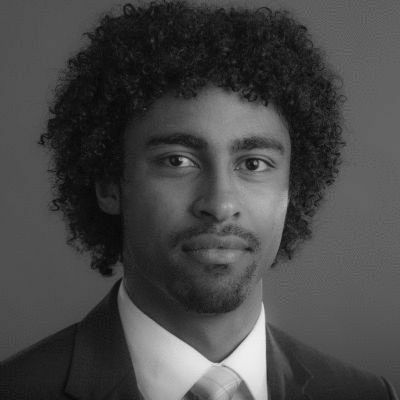 Deputy Bradley Hasley spotted Gregoire exiting the house and tasered him. Gregoire fell, reportedly removed the probes and then allegedly “charged” Bradley, who then tasered him again. When EMS arrived to treat the woman, Hasley says he noticed Gregoire appeared “unresponsive.” He was transported to the hospital where he was pronounced dead. Baltimore, MD: King spent the night in the hospital for a reaction to dental work medication. After an unknown procedure, and possibly taking Keppra the next day, King allegedly became “agitated and combative” about not being immediately released. Two officers arrived and tasered King once while 5-10 hospital workers tried to secure him to a gurney. He resisted, was drive-stunned four times, and was given a sedative. He suffered a cardiac arrest, went into a coma and died 7-8 days later. Birmingham, AL: Ricky, a Jefferson County jail inmate, died after a sheriff’s deputy used a Taser on him when he allegedly became combative with officers. Bunnell, FL: Tanner was being served a warrant. Marshals entered Tanner’s room and shot him. During the shooting, four children were at the house ages 8 through 12. Compton, CA: Hunter refused to pull over after possibly driving intoxicated. He then reportedly grabbed for a gun. Officers then shot and killed Hunter. Later, it was found that Hunter did not shoot a gun but rather the officer did, prompting another officer to shoot the Hunter. “He didn’t carry a gun and he didn’t deserve to die like this,” said Hunter’s mother, Martha Willis. Dallas, TX: Jason was mentally ill. His mother called 911. Video footage shows Harrison’s mother opening the door to the awaiting officers while Harrison appears behind her twiddling a screwdriver. The officers immediately demanded he drop the tool and within seconds fired several shots, killing Harrison before he was able to react. Delray Beach, FL: Deputies in Florida shot Anesson Joseph after he beat several victims. Deputies tasered Joseph, but he continued “ranting and raving”. Joseph was naked. 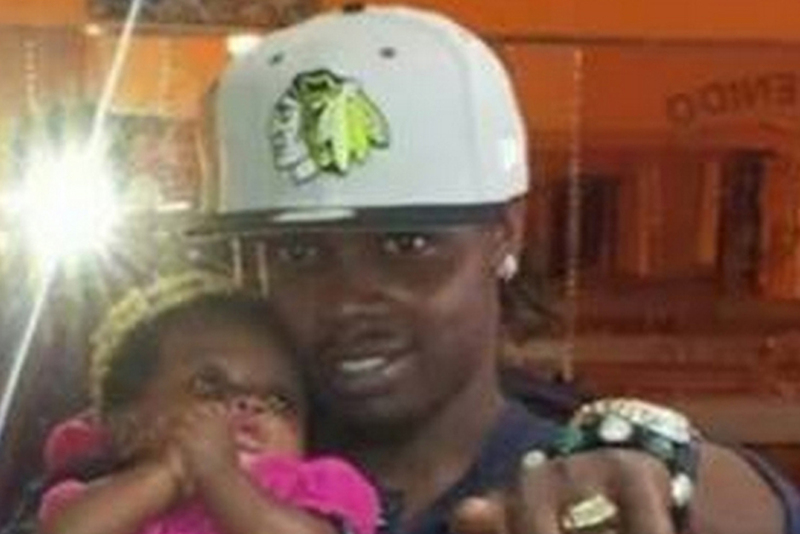 One cop opened fire and shot Joseph in the torso and twice on his lower body. He was taken to Delray Medical Center where he later died. East Point, GA: Officers responded to a domestic dispute at the home of Towns’ ex-girlfriend, leading to mile-long foot-chase that ended with Towns laying on the ground, out-of-breath. Two officers began tasering Towns in an attempt to get him up, tasering him 14 times while he was handcuffed. Towns death was ruled a homicide due to the use of Tasers, and the two officers either resigned or were terminated by the police department. Flint, MI: An officer was in pursuit of a suspect when he ran a stop sign and collided with Nichols’ vehicle, killing Nichols. Hapeville, GA: Woodard was fatally shot multiple times by her former boyfriend, an Atlanta police officer named Tahreem Zeus Rana. After being caught trying to fly to Mexico, Rana faced charges of murder, kidnapping, and a charge of arson for setting Woodard’s dead body on fire in an attempt to obscure evidence. Gretna, FL: Donald’s family called 911 for assistance with getting him into a mental hospital under Florida’s Baker Act. Responding police could not control him; Donald reportedly said he “didn’t want to be bothered.” Local officers tasered him then shot him to death with three bullets in front of his mother and pregnant sister. Cameron Tillman ouma, LA: Police received call that armed individuals had entered an abandoned house. When they knocked on the door, Cameron Tillman, a high school freshman and talented athlete with a 3.7 grade point average opened the door and was shot four or five times. The local sheriff said Cameron came to the door with a gun in his hand, but that was later changed to say a BB gun was found “in close proximity” to his body. The teens say the BB gun was on the table. 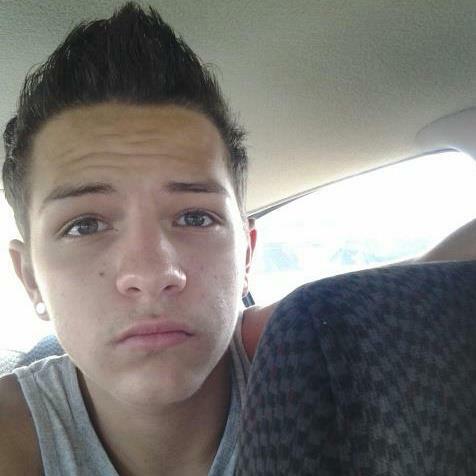 Cameron was alive for at least 45 minutes, according to the family’s lawyer. But the police offered no medical assistance. The investigation is ongoing, but two months on, the four other boys in the house say they still haven’t been interviewed. Houston, TX: An officer saw Baker riding his bike through Northwest Houston strip mall parking lot and looking into local businesses. Mistaking him for a robber, the officer approached Jordan and asked to see his identification. Jordan allegedly ‘scuffled’ with the officer and ran away. The officer chased Jordan, cornered him in an alley and then shot and killed him claiming Jordan had charged at him. “Jordan does everything for his son. His son is his life,” his mother said after his death. The officer was later cleared of all wrongdoing by a grand jury. He was 26 years old. Hallis Kinsey Houston, TX: Kinsey was stopped by police after he allegedly tried to rob a motel patron, and was found making boxing motions in a nearby street. After struggling with Kinsey, the officer shot and killed Kinsey claiming that he charged at him. Hotel guests say the man was standing around for hours and didn’t seem a bother to anyone. They wonder if whatever happened here could have gone differently. “He was just cold and homeless and innocent. I’m thinking he was really mentally ill,” said eyewitness Robbie Meraz. He was 26 years old. Inglewood, CA: Police responding to a disturbance call found Kemp fighting with another man. After attempting to flee from police, Kemp was caught and allegedly fought with officers before being fatally shot. 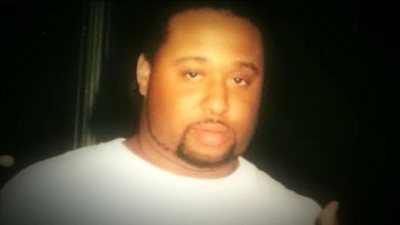 Residents and friends state that Kemp was unarmed, a claim that officers haven’t disputed. The coroner’s office revealed that Kemp was shot multiple times in the back. Lavon King Jersey City, NJ: A pair of Jersey City police officers from the Emergency Services Unit spotted King on Kearney Avenue. One officer chased him while another followed in a police vehicle. King was tracked to an Ege Avenue backyard, where he entered an unlocked shed. As one of the officers entered the shed with his firearm drawn, King allegedly struggled with the officer. At that point, the officer fired one round, striking Lavon in the chest. Witness could hear Lavon say ‘Why did you shoot me?’ after being shot. He was 20 years old. Kansas City, MO: Officers stopped McKinnis’ car on a traffic violation and found he had a criminal warrant. McKinnis allegedly resisted arrest and tried to flee. “After a brief struggle, officers realized the man needed medical attention and called for emergency responders.” He later died at the hospital. John T. Wilson Las Vegas, NV: Officers responded to call about a man walking along the freeway holding an assault rifle. Officers arrived and shot the victim in the back. It was later learned that the victim was holding a pellet gun. 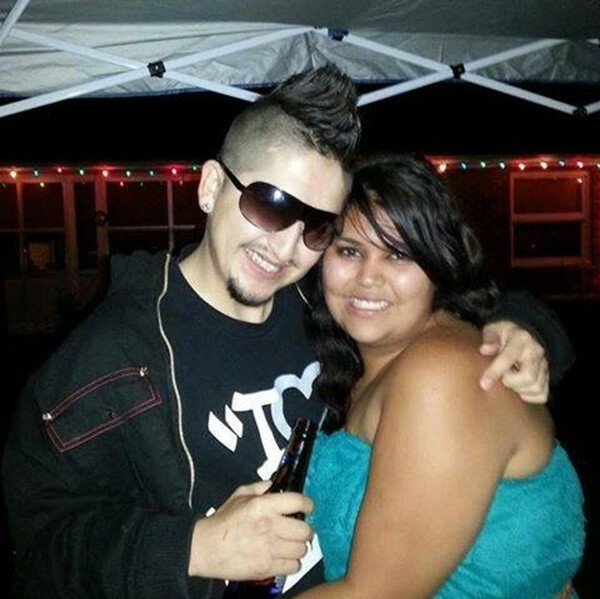 The details of the shooting remain “sketchy,” according to Wilson’s family. He was 22 years old. Robert Storay Little Rock, AR: Police responded to a call that Storay was causing a disturbance on a city bus. As the officer escorted Storay off the bus, Storay allegedly hit him with a cane. The officer responded by shooting and killing Storay. 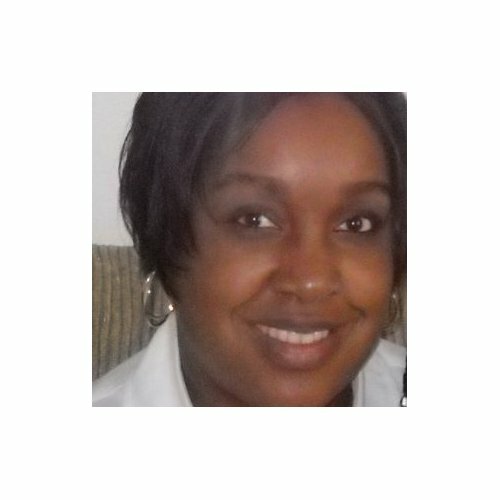 Storay was a disabled Army veteran who required the cane to walk. Storay had experienced police violence before. In 2011, Storay filed a lawsuit against the North Little Rock Police Department after three officers assaulted him. He was 52 years old. Cedric Stanley Miami, FL: Officers pursued Stanley after a hit-and-run incident. He fled the area and hit a pedestrian with his car. Then he crashed and fled on foot. When an officer tried to apprehend him, a struggle allegedly ensued. Another officer shot and killed Stanley. 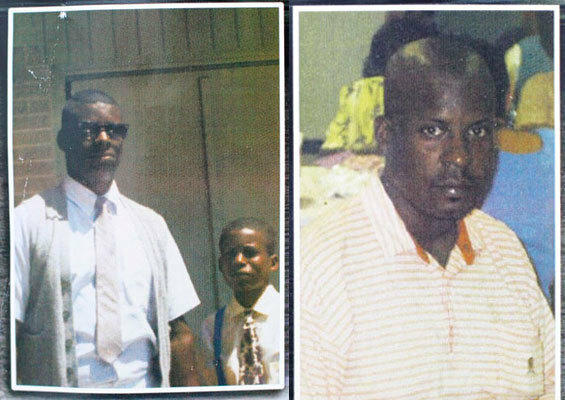 Moss Point, MS: Jean-Baptiste was shot and killed by police after, according to police, he exhibited “bizarre behavior” and confronted police officers. 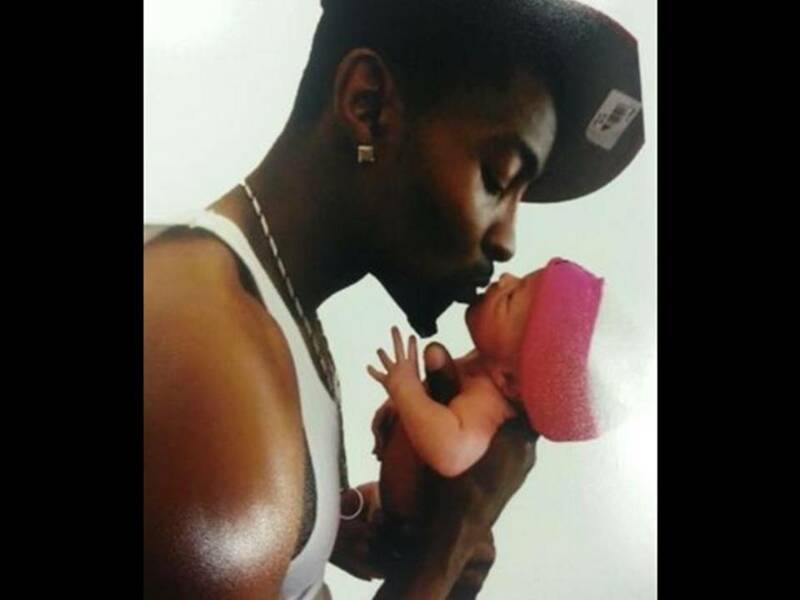 Natchez, MS: Tyrone Davis was died after being shocked with a stun gun by an Adams County Sheriff’s Office deputy during a traffic stop for reckless driving. Iberia, LA: White was apprehended for fighting and for possession of illegal drugs. After being transported to the parish sheriff’s office, he refused to exit the vehicle. Deputies and State Police claim that White – while handcuffed – produced a pistol and fatally shot himself in the back. An autopsy from the parish coroner’s office released in August 2014 reveals that White was shot in the chest, contradicting the police report. Only the first page of the autopsy report was released to the public. Lashano Gilbert New London, CT: Gilbert, while in an ‘altered state of mind’ and ‘speaking in a bizarre manner,’ allegedly attempted a carjacking. Gilbert reportedly told police he was hearing voices and, claiming he was acting in a ‘threatening manner’ toward them, officers used the stun gun on him. He was taken to a hospital and treated, then taken to a New London police station. Police say while in a holding cell Gilbert began twisting his pants as if to make a noose. He allegedly rushed police when they opened the cell to take the pants. Police tasered him another time. He was rushed to the hospital again and died. He was 31 years old. Omaha, NE: Washington was allegedly holding up a Wendy’s with an Airsoft replica gun when an Omaha Police Department unit fired at least 30 shots into the restaurant. Washington exited the building and fell to the ground. Perry Hall, MD: Following a car chase, deputies used tasers on Arvel Douglas Williams “in an effort to safely place [him] under arrest.” Williams was in handcuffs, police said, when he “suddenly began to have a medical emergency. Police removed the handcuffs, rendered first aid and called paramedics, they said. William was taken to a local hospital, where he was pronounced dead shortly after 9 p.m.
Punta Gorda, FL: Walker was incarcerated at the Charlotte Correctional Institute. In circumstances that remain both unclear and under investigation, as many as 18 correctional officers beat the handcuffed Walker to death. Walker’s death was one of several prisoner fatalities that led to major scandal for Florida’s Dept. of Corrections. 32 guards, including the 18 who allegedly beat Walker to death, were fired as a result. San Antonio, TX: Love was found passed out in a car on a highway. When EMTs began to administer first aid he resisted, drove away, crashed into a truck, then fled on foot. Officers caught him and tasered him twice, then he was given a dose of Versed. “A few moments” after his legs were shackled to a gurney, he died. Baltimore, MD: Baltimore police claim Tyree Woodson was able to sneak a gun past them at the time of his arrest, get the gun into a holding cell and later shoot himself while handcuffed in the bathroom. Woodson was allegedly wanted on attempted murder charges, which means the arresting police officers would have taken extra care in searching him. As such, many – including elected officials – have questioned this story and suggested that police were covering up a case of brutality against an unarmed man. Savannah, GA: Police had arrested Smith on outstanding warrants and put him in a patrol car with his hands cuffed behind his back. Police claim that Smith, while handcuffed, was able to move his hands to the front of his body and kick out a window of the patrol car. According to the police, Smith inexplicably came into possession of a gun and was shot by an officer. Shreveport, LA: Claiming he refused to follow officer orders, Officers allege that Christmas “struggled” with them, forcing them to subdue him using a taser. He soon became unconscious, suffered a cardiac arrest and died. Suitland, MD: Minor was drinking and involved in a domestic dispute. When officers arrived they thought Minor had a gun and did not comply with officer’s orders. Minor was shot and killed. Minor did not have a weapon on him. Upper Marlboro, MD: Samuel Shields was brought to the Prince George’s County Jail by Metro Transit police around 12:30 p.m. after being arrested and pepper sprayed over a $2 bus fare dispute. He died during processing. Steven Isby Chicago, IL: An officer returning home from shift very late at night spotted Steven Isby, a homeless man, near a construction area. The officer approached Isby, and identified himself as a police officer. At that point, the officer saw something “threatening” in Isby’s hand, causing him to fire several shots at Isby. The item in Isby’s hand turned out to be a screwdriver. North Augusta, SC: Officer Craven chased Satterwhite for 9 miles beyond city limits to the man’s driveway in Edgefield County. After Satterwhite parked, the officer repeatedly fired through the driver-side door. The officer now faces up to 10 years in prison if convicted of the felony gun charge. Houston, TX: Lucas allegedly disabled a smoke detector and became disruptive. The Specialized Emergency Response Team Unit of the Harris County Sheriff’s Department extracted Lucas from his cell. Lucas,was then placed in a holding area and put in a restraint chair. Thirty minutes later, Lucas was found unconscious with no pulse in the restraint chair and was transported to the medical center where he was pronounced dead. He was 38 years old. Kenner, LA: Officers were speaking with Smart and a passenger as part of a narcotics investigation when Smart accelerated the vehicle, allegedly pulling an officer into the car and punching him. The officer fired and hit Smart several times, forcing the car to crash. Smart was pronounced dead at the scene. Dustin Keith Glover Port Arthur, TX: Officer Otis tased Glover once in the chest, but claims it did not have an effect on him. Shortly afterward, officers George Clark and Gerald Bush arrived on scene and Clark Tased Glover five times. Video shows Officer Otis with a choke hold on Glover, and Bernsen says Otis punched Glover as well. After his arrest, Glover was taken to the Port Arthur Police Station, but then to Christus hospital St. Mary hospital. Once he was released from the hospital, he was taken to the Jefferson County Jail. He vomited and was bleeding, so he was taken to Baptist Hospital in Beaumont where he died two days later. He was 27 years old. Raeford, NC: Deputies approached McCall after reports of a suspicious person. After an “altercation” McCall was shot and killed by deputies. 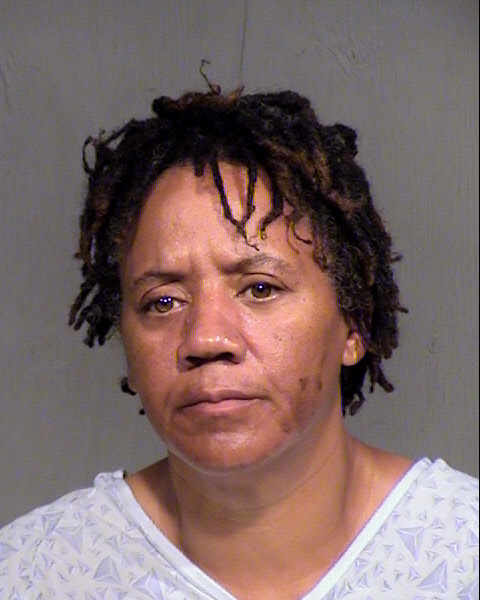 Candace McCall said she doesn’t understand why authorities shot her brother. McCall didn’t have a history of violence. Family and witnesses say McCall didn’t have a gun, and police haven’t disputed this. Anthony Bartley Yulee, FL: Several neighbors called the police on Anthony after he had gotten in a fight with someone whose house he spent the night at. One officer came, they got in an argument, the officer used a Taser gun on him but claims it did not have the desired effect. The officer then proceeded to shoot him once, when Anthony did not go to the ground the officer shot him 4-5 more times until he was pronounced dead. Zephyrhills, FL: During an undercover drug deal, a detective allegedly bought a “large” amount of pills from Brown outside the tire shop. When the deal was completed, detectives waiting “in gear” moved in to arrest him. Brown was allegedly shot because he would not show his hands. The Pasco Sheriff’s office justified the shooting as “any failure to comply indicates a threat.” Family and friends organized protests of the shooting. Bedford, VA: After suspecting him to be involved in a home invasion, Deputy Juette Renalds followed the pickup truck Mendoza was in onto a dead end road. The truck made a turn and struck the deputy’s patrol car. Then, Mendoza allegedly exited the pickup truck and “started towards the deputy.” The deputy fired four shots atDavid — striking him twice alleging that she feared for her life, despite the fact that David was unarmed and no weapon was found in his car. Memphis, TN: Keara was the officer’s wife. The officer killed her and shot, but did not kill, her son in a domestic incident. The officer has since been charged with murder. Owings Mills, MD: Harrison, who was targeted as part of a narcotics investigation, was shot 19 times by federal agents after he crashed into a vehicle and then attempted to flee. The Baltimore County state’s attorney cleared the agents of any wrongdoing. Jackson, MS: Griffin, a basketball coach, allegedly argued with game referee and off-duty Hinds County deputy Joshua Adams. Griffin fought with Adams and a second unnamed off-duty uniformed deputy, who was working security, outside the facility. Parking lot surveillance footage shows blows exchanged and Adams hitting Griffin on the chin. Griffin died the next day. Adams was indicted on manslaughter. Justin was 25 years old. Tulsa, OK: Jeremy Lake, an unarmed black teenager, was walking home with his girlfriend, Lisa Kepler, when a black SUV pulled up and Lisa’s dad, an Oklahoma City Police Officer named Shannon Kepler, got out shouting at her. Lisa Kepler and Jeremy Lake decided to go over to him, where Jeremy introduced himself as Lisa’s boyfriend. At this point, Officer Shannon Kepler pulled out his gun and shot and killed Jeremy and also shot at his own daughter, presumably angered over their interracial relationship. Officers Shannon Kepler and his wife Gina Kepler, who is also a police officer and was driving the car, are charged with first-degree murder. It is impossible to provide a full list…. 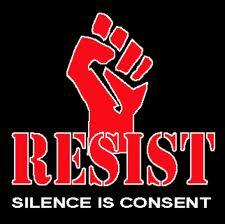 Corporate news reports of people killed by U.S. law enforcement officers, whether in the line of duty or not, and regardless of reason or method. Inclusion implies neither wrongdoing nor justification on the part of the person killed or the officer involved. The post merely documents the occurrence of a death. MEGAN THOMPSON: A year-long investigation published by The Washington Post this weekend takes an in-depth look at the nearly 1,000 people fatally shot by police in 2015. Among the findings: Mental illness played a role in one-quarter of the killings. In three-quarters of the fatal shootings, police were under attack or defending someone who was. And one in 10 people shot and killed by police were unarmed. 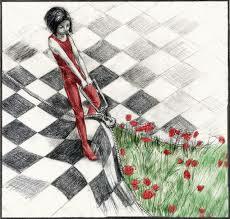 Next Human beings can embrace sustainable peace: courage ends war.